Today, health insurers control large segments of the covered lives in almost every part of the country. Every day physicians ask themselves what they can do to negotiate more effectively against these powerful health insurers. What can a physician do when a large health insurer simply announces that it is once again lowering reimbursement levels and tries to control the services the physician can provide to patients? How can physicians respond in a way that allows them to provide high quality care to patients and receive appropriate compensation for their services? How can you do this without violating the antitrust laws? We have helped physicians address these questions for more than a decade. Physicians have a wide range of options when trying to address the considerable market strength of health insurers. Physicians know how to treat patients, and they know what works and what does not work with regard to patient care. When physicians form joint ventures, they can apply their knowledge, experience and training to the real problems that exist in health care markets. This can significantly improve patient care, and put patient care back where it belongs – in the hands of physicians. Physicians, however, oftentimes compete against one another. Joint ventures and collaborative efforts they enter into can, therefore, raise antitrust concerns. An antitrust concern, however, does not mean that physicians cannot enter into joint ventures and other collaborative arrangements that improve patient care and also increase the reimbursement physicians receive from health insurers. The antitrust laws have considerable flexibility when properly understood. The antitrust laws are actually designed and intended to foster collaborative arrangements that benefit consumers and improve efficiency. The days when large categories of collaborative conduct were simply prohibited are long gone. It is important to put the antitrust laws into context. Competitors in all sorts of different markets and industries form lawful joint ventures and collaborative arrangements all the time. The courts and government enforcement agencies recognize that many collaborative arrangements between competitors benefit consumers and represent precisely the types of arrangements the antitrust laws encourage. Physicians have the same right to enter into mergers, form joint ventures and other types of collaborative arrangements under the antitrust laws and firms selling standard products. It’s important, however, that physicians work with an attorney knowledgeable in health care antitrust law when forming joint ventures and collaborative arrangements, particularly if these new entities will negotiate fees with health insurers. We have years of experience doing precisely this. Our role is not to simply act as a break on an efficient business arrangement that will benefit patients. Our goal is to identify the antitrust issues and point out the various options available to our clients under the antitrust laws by showing the flexibility in modern antitrust law. It is a great irony that, while the antitrust laws were designed to benefit consumers, they are oftentimes viewed as impediments to creative ways of improving health care. The antitrust laws do not prevent integrative efforts that improve care, and do not prevent physicians from jointly negotiating fees when they create integrative efficiencies that improve care. We have years of experience advising physicians on this issue. Helping create a more healthy balance in the health care industry. “First do no harm” was meant for physicians to protect their patients, but who protects physicians from anticompetitive actions taken by hospitals? Markets are constantly adjusting and changing. Some changes are driven by new technology, some by improved practices, some by nothing more than an idea that shows the older way of doing things was inefficient. In the health care area, a major development over the last 20 years is the dramatic increase in the number of procedures that physicians can perform on an outpatient basis. This has led to the emergence of a relatively new competitor in facility markets – the physician-owned surgery center. Surgery centers have become a significant competitive force in the heath care marketplace. While hospitals themselves open stand-alone outpatient centers, they have certainly recognized the competitive threat created by physician-owned surgery centers. As more and more physicians try to establish surgery centers or other types of facilities that compete against hospitals, they have had to face a wide range of responses from hospitals. Sometimes these responses do not represent fair competition, but are instead anticompetitive actions designed to destroy a competitive threat. When this happens, the physician trying to open and operate a surgery center and his or patients are injured. One of the critical roles played by the antitrust laws is the protection of new competitors that take on powerful and well-established firms (including hospitals). While well-established firms have a right to compete against firms trying to enter a market, the established firms cannot use anticompetitive actions to insulate themselves from competition. At the Law Offices of George M. Sanders, P.C. we have extensive experience distinguishing legitimate competitive efforts from anticompetitive conduct and representing physicians in litigation when they are met with anticompetitive actions as a result of their efforts to compete against a well-established and powerful hospital. 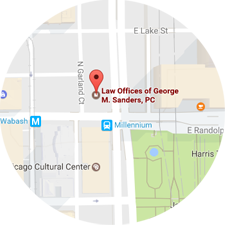 The Law Offices of George M. Sanders, P.C. has been providing legal advice and litigating on behalf of physicians for years. 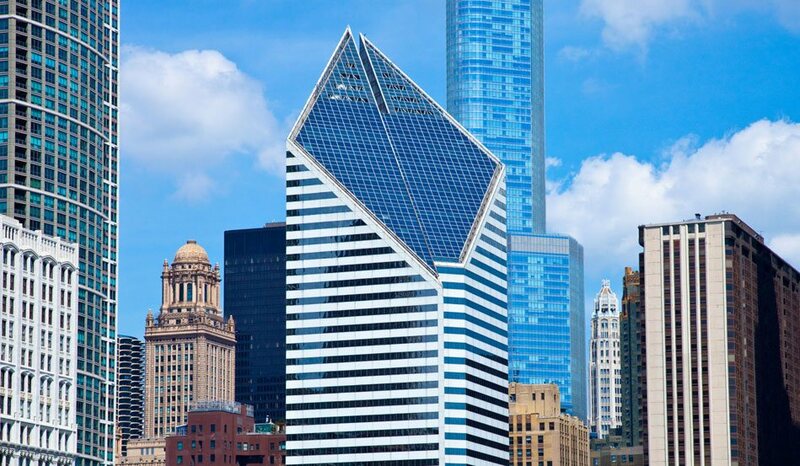 You may contact us at 312-624-7642 or through e-mail. The peer review process is a critical component of the health care delivery system at hospitals. When the process works properly, it helps protect patients from substandard care. As many physicians can attest to, however, the peer review process does not always work properly. Sometimes, the process is used for improper purposes – such as retaliating against a physician that wants to compete against the hospital or is too successful against a powerful practice group of that also practices in the hospital. Physicians who are subject to an improper peer review proceeding may very well need legal assistance. The attorneys at the Law Offices of George M. Sanders have experience representing physicians that are the target of an unfair peer review process that has nothing to do with patient care and everything to do with unfairly tilting the competitive landscape. An unfair peer review process can have a devastating impact on a physician’s practice. We can provide legal advice concerning your legal rights and the actions you can take to address an unfair and improper peer review action. Contact us at 312-624-7642. If you feel that you are the subject of a medical staff peer review proceeding that has nothing to do with your performance as a medical doctor, or if the process is being manipulated in a way that has nothing to do with quality health care – you need to act quickly. We will listen to you. We will work on developing a plan to accomplish your goals. We will provide you with practical legal advice and possible solutions so that you can do what you do best – practice medicine. You need an experienced attorney at the Law Offices of George M. Sanders, P.C., who specializes in physician health care antitrust law.